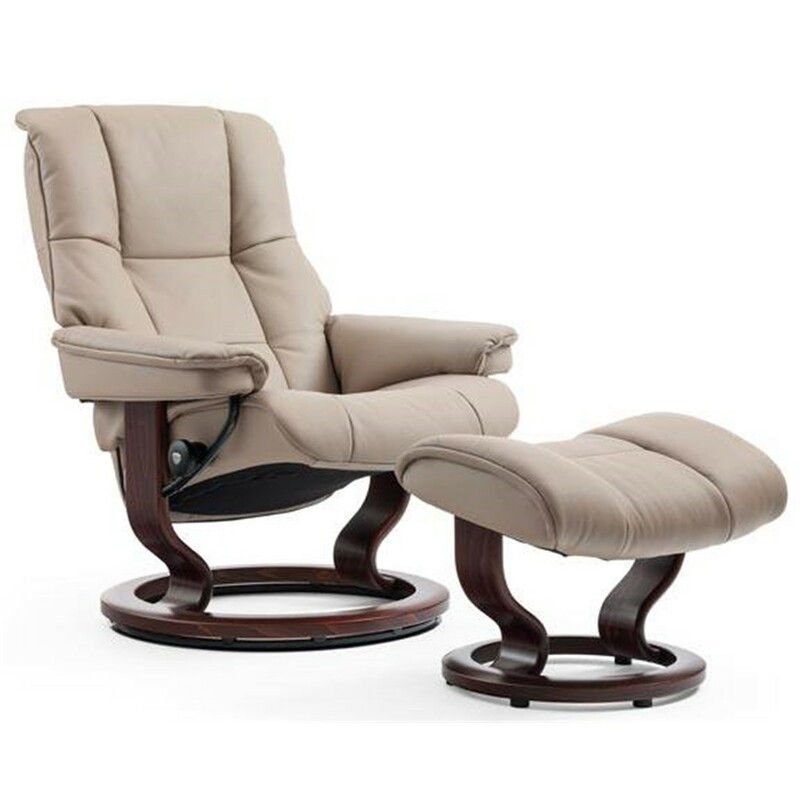 Stressless View has ample cushioning, while retaining a timeless and modern pillow design with sleek contours. This model has a longer and slimmer back, great for those of us who have a few extra inches. 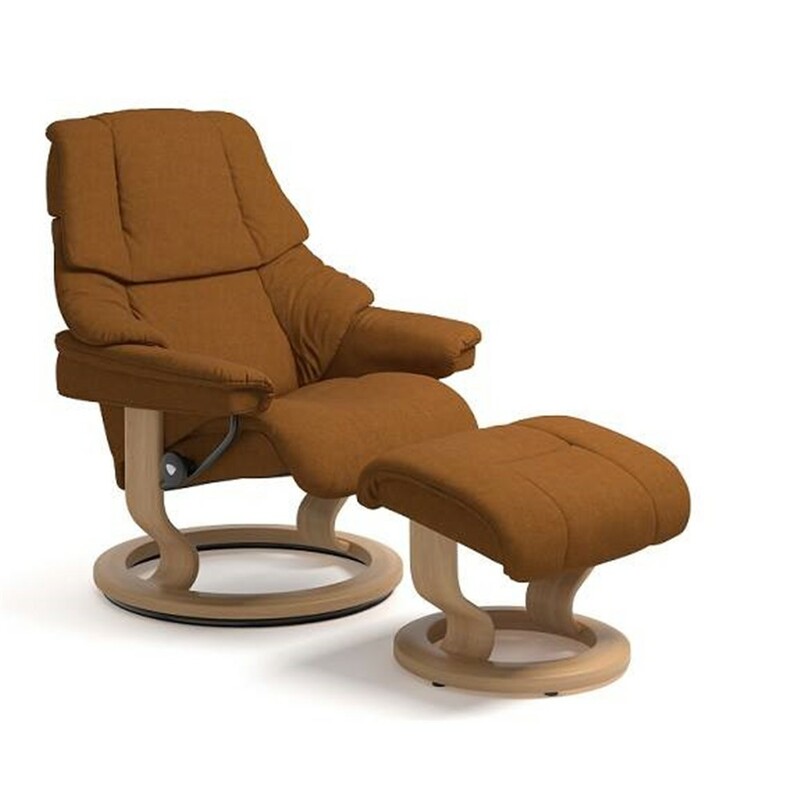 The recliner also has an elegant and comfortable neck support which can be adapted to users of a variety of heights. 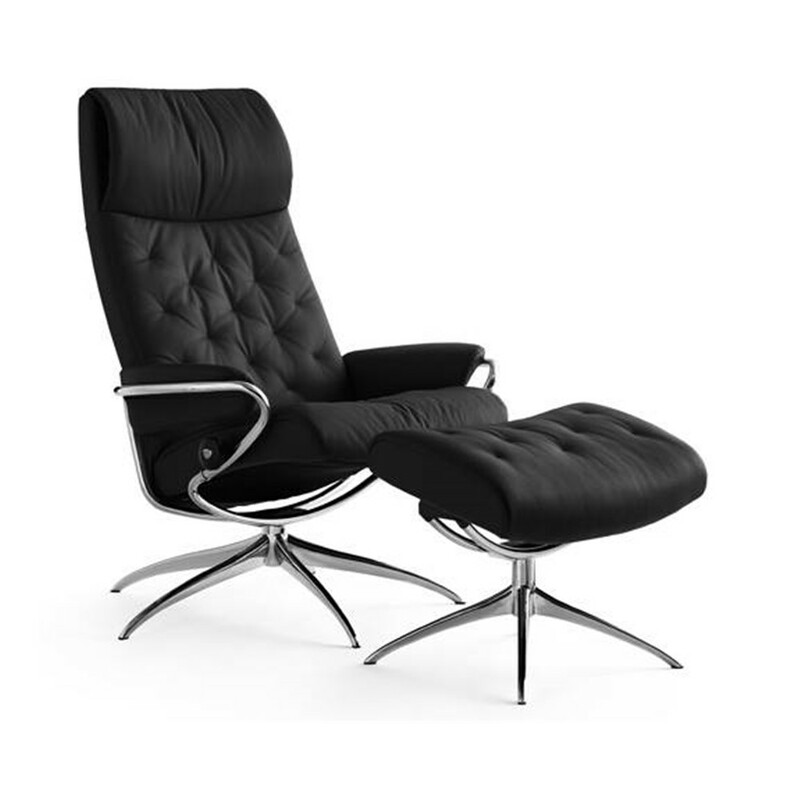 Price in Batick Leather and Classic base. 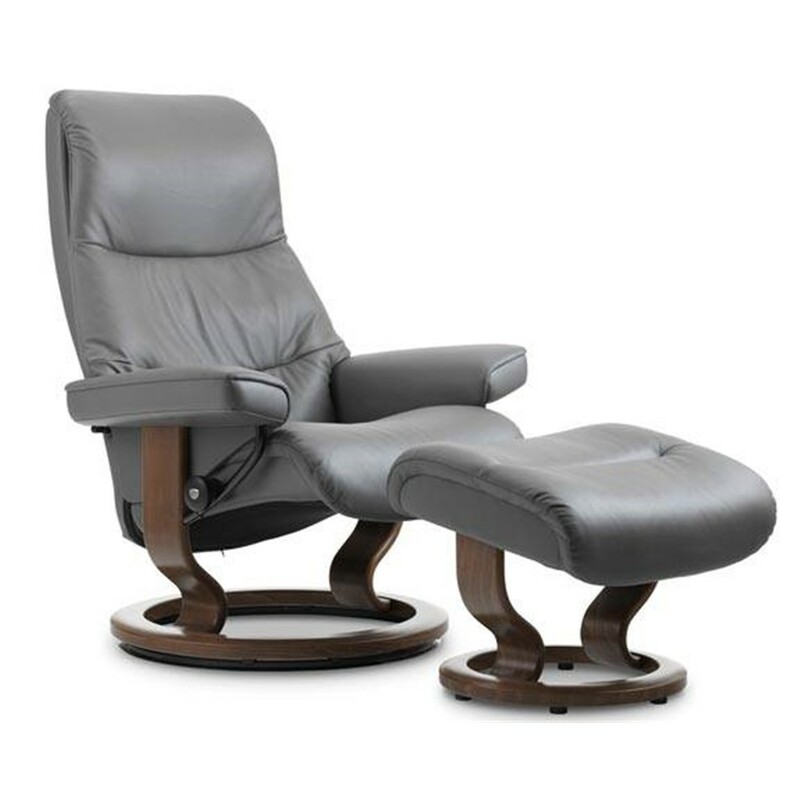 This chair is also available with the Signature base, as an office chair or as the new electric classic leg comfort model.